MyPage will receive a much-needed upgrade in time for spring semester. Salt Lake Community College will launch a redesigned student and faculty portal on Wednesday, Dec. 21. MySLCC will contain the same services and information students are used to accessing on MyPage, but with a fresh, reorganized look that aims to provide a more user-friendly experience. The updated portal will be linked to the Ellucian GO smartphone app, which now gives students the ability to register for classes on their mobile devices. 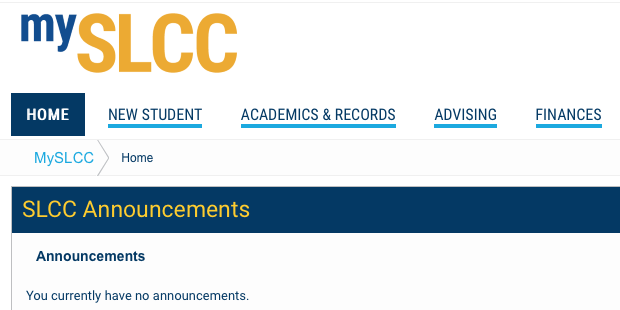 A beta version of MySLCC is now available for testing, but any student information altered in the beta will not be reflected in the final release. Contact the SLCC Help Desk for more information. Editor’s note: This story has been updated to correct the official MySLCC launch date.